Use with EfferSan tablets available in 24-count and 100-count sizes. Just fill the spray bottle with water, add 1 tablet, and wait for it to dissolve. Within minutes you'll be ready to disinfect. EfferSan is a no-rinse sanitizer that is great for cleaning kennels and crates. 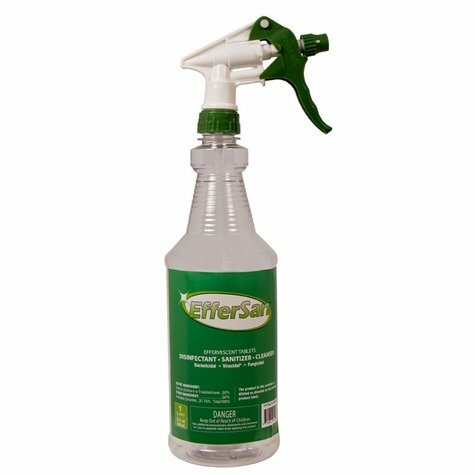 EfferSan's subtle chlorine scent lets you know that this product deep cleans without overwhelming you or your dog's senses. EfferSan is safe and simple to use. It can be applied directly to hard surfaces without fading or whitening.